For many parents, it might be a daunting idea to let their son or daughter take a gap year off of school before leaving for college. Most parents worry that their child may decide not to attend college after taking a year off, instead opting to wander the world as a vagabond. However, more often than not, the reality is just the opposite. 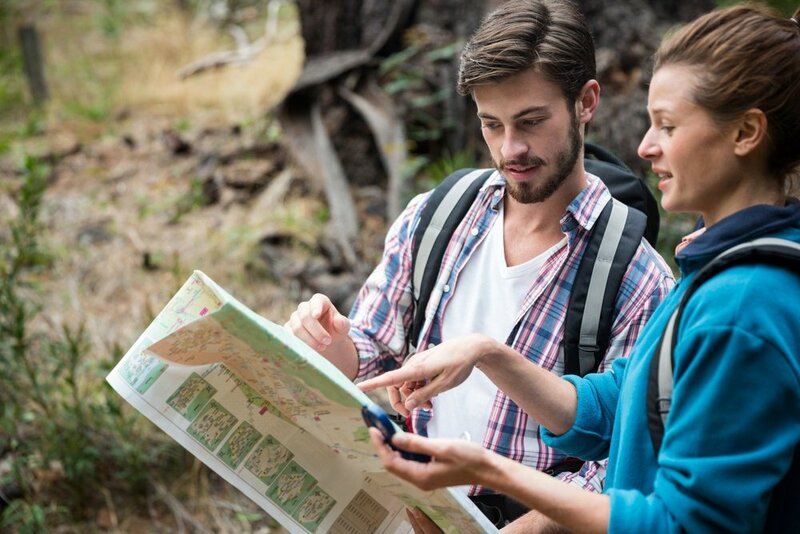 Gap years can be a wonderful opportunity, especially for those students who have been extremely stressed out during high school, those who are not quite ready for the independence of college, those who aren’t happy with their college application results, or those who simply express an interest in trying something new. Where Do I Begin to Learn about a Gap Year? If you are interested in learning more about a gap year, the best place to start is at Gap Year Association, a “nonprofit accreditation and standards-setting organization for gap years that is recognized as such by the US Department of Justice and Federal Trade Commission.” This association was founded by Ethan Knight, a former “Gapper,” who traveled to India, Nepal, and Tibet in 1996. In addition to accrediting gap year programs, his desire has also been to help grow the Gap Year Movement. 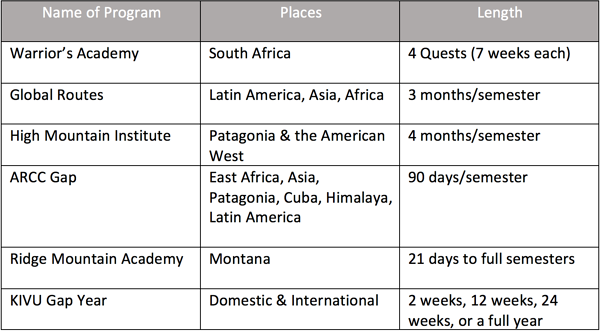 The association lists thirty-seven gap year programs on its site to help families begin the research process. Keep in mind that these programs vary greatly in length, location, and experience. Below, you will find a few examples of the accredited gap years that are offered on the Gap Year Association's website. If you decide that you are interested in pursuing a gap year and have already been accepted into college, then you need to find out the policy at your college. Peterson’s explains “If your child is accepted to a school and then decides to defer admission, the reasons for doing so must be submitted in writing to the Dean of Admission, along with a deposit. All of this must be completed before the published deadline to reserve a place in the following year’s freshman class.” Some colleges may take this process one step further, such as Dickinson University. Although it supports students taking a gap year, it states that “you will need to verify in writing that you will not enroll in a degree-granting program at another institution or apply to other colleges during your time off. Should you do so, you will forfeit your admission to Dickinson.” Keep in mind that not all colleges will accept a student’s request to defer admission, so it is very important to check with your college. Just as these programs are different in length and location, they also vary in cost. However, many of them have financial aid options for those who have filled out the FAFSA in addition to scholarship programs for students. Although these are just two examples, many of the programs offer financial aid and scholarships. Therefore, if you are interested in a gap year, don’t let the cost deter you. Spend some time investigating all of your options. Can I Earn College Credit While on a Gap Year? While all of these colleges have different policies in relationship to a gap year, most look at a gap year as a positive experience experience for students. In fact, Princeton University’s “Bridge Year Program” is pretty remarkable, since it is “a nine-month, tuition-free program that allows newly admitted undergraduates the opportunity to defer their enrollment for a year to engage in community service work in another country.” The application process takes place in spring, after acceptances have been received. Although students do not receive any college credits, the entire program is paid for by Princeton University. Besides Traveling Abroad Through a Gap Year Program, What Else Could I Do? You do not need to participate in a formal gap year program to take a year off in-between high school and college. Many student simply need some personal time to mature, to learn more about themselves, or to earn money. If staying at home for a year, it’s not uncommon to do a combination of activities: working, volunteering, pursuing a passion, traveling independently, or taking classes at a community college. Some students decide to take a year off from school to work and save money for college. This experience can be valuable for several reasons from the obvious one of earning money but also to realizing the earning potential one could have with a college degree. So, while living at home, spend some time volunteering for an organization that you might be interested in or take a class or two in something that interests you. These classes do not need to be academic in nature; instead, try a painting class, a yoga class, or a photography class. Taking the time to further explore your interests and passions is always beneficial. What are the Benefits of a Gap Year & What Experiences Were Most Positive for the Students? While taking a gap year is not the right decision for everyone, the benefits are difficult to ignore. Global Citizen Year makes a strong case with its top ten list: experience a different culture, learn a new language, develop new skills, discover a hidden passion, prep for college, improve yourself, live life to the fullest, boost your job prospects, break down classroom walls, have fun, and make lasting friendships. I think it would be difficult to find a parent who wouldn’t want their child to have these life experiences; however, for many, it’s difficult to get over the idea that their son or daughter may not go directly to college. Sometimes the best experiences in life are those off of the beaten path.